No sound on the computer, which is a common problem. The reason for its occurrence can serve as faulty equipment or lack of suitable software. Start searching for the reasons for the lack of audio on my computer check the settings of the sound card. Open the control panel. Access this menu by pressing the "start" button and selecting the appropriate item. Now, navigate to "Hardware and sound". Click on the link "Manage audio devices". In the Playback tab, click Speakers, double-clicking on it with the left mouse button. Make sure the device is switched on and the volume is turned to 0%. Open the device Manager. To do this, go to the properties menu of "Computer" and select the appropriate option. Expand "Sound, video and game controllers". In the ongoing list, locate the sound card in the computer. Update the sound card driver. Double-click the left mouse button on the name of the desired device, go to the tab "Driver" and click "Update". To begin, select "Automatic driver installation". This method will help in case if at the moment the device is not installed the appropriate files. Otherwise, go to the website of the manufacturer of your sound card. Find the software developed for this device. Upload the files and install the downloaded software. Restart the computer and test for sound on your computer. If you are unable to find a suitable program, run an independent search of the necessary drivers. Open the properties of your sound card in device Manager. Select the Details tab. Under "Property" select "hardware IDS". Right click the mouse on the first line in the column "Value". Copy the highlighted information. Paste it into the search bar. Locate the appropriate driver files, and download them. Again open the 'Driver' tab in the properties for the sound card and click "Update". Now select the option "search for drivers on this computer". Specify the path to the downloaded file. If they are presented in the form of files, pre-extract all the files. Replace the sound card if none of the above methods did not help to solve the problem. Most likely there is a mechanical damage to the adapter. Motherboards of certain models has a built-in sound card. Try connecting the speakers to her, after turning off the discrete cost. When connecting the speakers to the computer audio is not always done automatically. In some cases, sound engineering, you must perform certain settings. It is worth noting that before connecting, you must install on PC the audio driver (if they were not installed by you previously). To do this, take the appropriate drive (attached to the kit when you purchased your computer) and install software. After the installation, restart the computer. Now you can go to the sound settings. Connecting the speakers to the computer. On the back of your PC you will see a sector with round colored holes. Insert the plug into the holes so that the colour of the plugs match the color of the hole. When connecting devices to your desktop computer opens a dialog box where you need to specify the desired settings (see"Front speakers" or "Rear speakers"). 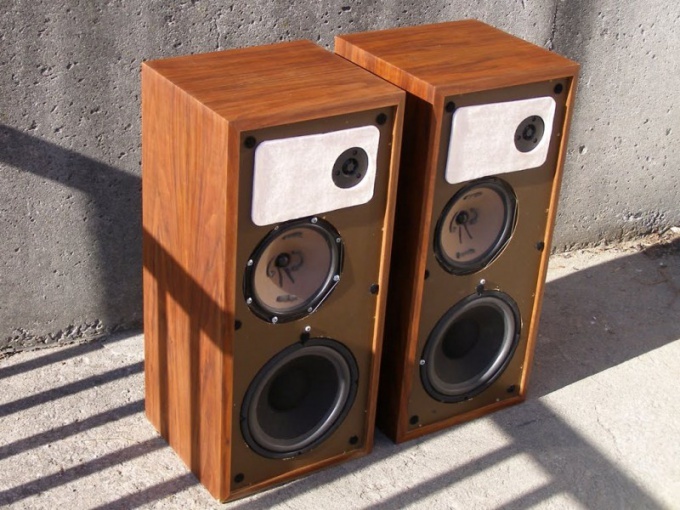 Connecting speakers with the subwoofer. In this case, the computer is connected only one plug themselves speakers connect directly to the subwoofer. After you insert the plug into the corresponding color socket, on the desktop, a dialog box will appear. Select the checkbox next to "line out" and save the settings. Even if you installed the drivers and connected the radio, it's possible that the sound will not be played. In this case, put all the sliders in the sound settings at the maximum position, it is possible that one of them is blocking the audio. Almost every personal computer comes with an integrated speaker, and the motherboard is quite often integrated sound device. But in order to get proper sound reproduction, you can connect speakers. You can also use a microphone and headphones to record and play back clips. All of these devices connect to the computer through special connectors located on the rear panel of the system unit. All audio connectors are made via standard mini-Din. This is the standard type of connectors for your computer. If your speakers do not use these connectors, you'll need to purchase adapters, which are sold in any specialty store. Port Line Out is a connector to which you want to connect external speakers. Remember that some monitors can be integrated with speakers. Standard connector is highlighted in green. In connector Microphone – connects a microphone that allows users to record own voice or any other sounds. Typically, this port is highlighted in pink. The Line In port is used to connect various external devices. For example, you can connect a VCR in order to play a sound at the speakers. 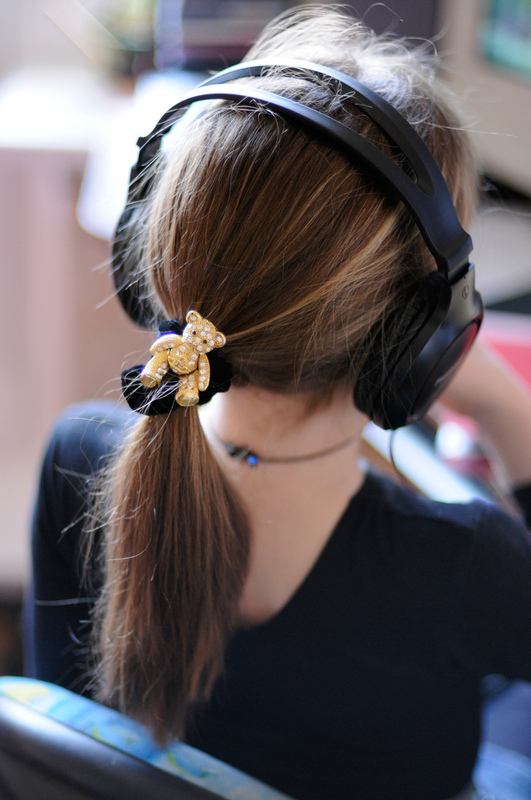 In order to fully use all possibilities of modern computer technology, and communicate using a variety of online programs to the computer you need to connect headphones. Ideally they should be combined with a microphone. Before you buy, and plug in the headphones, you should investigate whether your computer has a sound card, that is a device that is responsible for the input and output of sound. Note that this device is built into the motherboard and can be installed in a separate slot of a system unit of the computer. In the absence of a sound card it need to be installed, and to install everything needed for the proper functioning of the driver. It is not necessary to buy the expensive device. Most importantly, make sure you have the right connections, you can connect headphones. Consult experts in the relevant store. Using the instructions that will be attached to the sound card, determine which of the connectors are meant for headphones, microphone or other devices. As a rule, the nest is marked with different colors so that the connector was easier to connect. Take the headphones and gently insert the connector into the Jack. Note that it needs to be advanced into the slot until it stops. After that, turn on your computer and using the menu "start", go to submenu "control Panel". There select the settings for sound devices in your computer. After reviewing the capabilities settings, adjust the volume, as well as a number of other sound settings. Listening to new headphones, you can achieve optimal performance. After the headphones will be ready to work, install not computer music players to listen to audio files, as well as those programs that allow you to communicate freely with Internet users anywhere in the world. Today, the most popular program Skype, GoogleTalk and others. 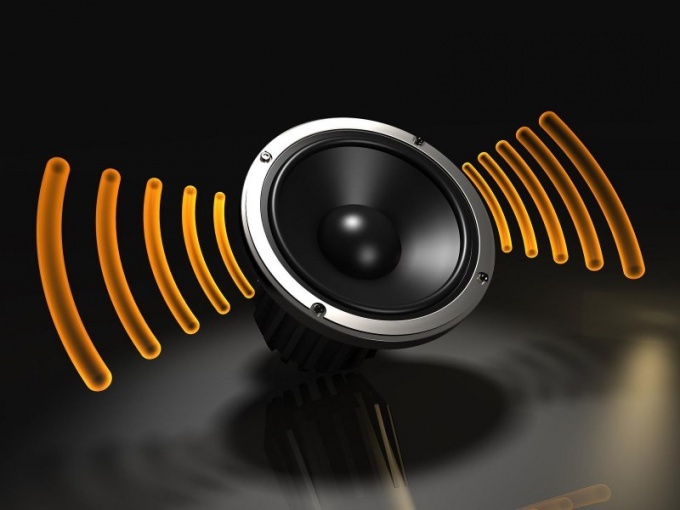 Properly setting sound on computer allows you to achieve a cleaner sound, there is a possibility of connection of sound systems. The configuration is done directly through the control panel sound card driver that is responsible for the sound output to the speakers. The initial installation of the driver for your sound card automatically during installation of the operating system. Often this is not enough to obtain the most pure and high-quality sound, but because you must install the software from the adapter manufacturer. The model of the map is usually listed in the parts list, which is issued when buying a computer. You can also open the PC case and see the presence of labels of the manufacturer. Usually they are specified on the card itself. Go to the official website of the manufacturer of the sound card. For this in any search engine enter the name of the manufacturer or model of your device. Download the drivers from the downloads section of the website. Run the downloaded file and follow the instructions of the installer appearing on the screen. After completion, restart the computer. Connect the speakers. Open the management utility driver, go to the configuration section. Depending on the manufacturer of your sound card and driver version, the screen will display the available settings. You can adjust the volume level, to adjust the balance between the left right speakers. 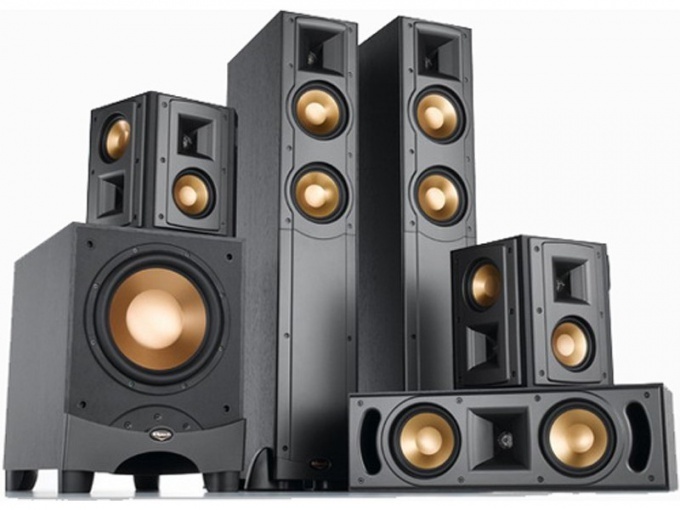 If you are setting up a serious sound system, specify the connected amplifiers and the number of columns, add the desired effects and, if necessary, use the equalization of the sound. If the sound is not working, check whether the power sound system is correctly connected. Try to connect other speakers or headphones, the problem may be in your audio system. Check to see if the sounds in the OS itself. To do this, click on the dynamics icon in the system tray. After setting all parameters, click "Apply". Close the window driver configuration. Some parameters it is better not to change, if you do not know what they need. In most cases, so it is not necessary to independently adjust EQ settings, better to do it programmatically, directly from the player on which you intend to play audio and video files. If you define a model does not work, use specialized software for the test equipment installed in the computer. To determine the model of the sound card will fit the CPU-Z and Everest. Monitor with speakers has low sound quality but saves space on your Desk and frees up one outlet in the extension cord. The audio signal on such a monitor is fed via a separate cable. Look to see if a second cable connecting the audio input monitor output of the computer sound card. If it is, and the sound is still there, first, try to find on the front panel of the monitor button with the symbol of a crossed speaker. Click on it and then either over it will turn off the led, or the screen will go into stand dynamics, but not crossed. This means that the sound is enabled. Pressing the button again will cause the receiver diode or the emergence of symbols crossed out the dynamics - the sound is muted. On some monitors a separate button to change the mode of the speaker no - this feature can be enabled and disabled via the menu. If the monitor is brought out of shutdown mode sound, but to hear anything fails, look for the volume control. Even on the monitors, where all adjustments are performed electronically, such a controller can be analog. Turn the handle, and the sound should appear. If the handle is missing, look on the front panel arrow buttons, which is located between the symbol dynamics or try to find an item to adjust the volume in the menu on the monitor. It is impossible to rule out incorrect configuration of the mixer of the operating system - but then the sound will not be in the case if you connect to the sound card with regular speakers. Run the appropriate tool (its name depends on what you're running) and check if you have turned the audio output. Even if the cable exists, not the fact that it's connected properly. Check whether it is connected one plug to the green socket of the sound card and into the monitor socket marked as Audio in. If necessary, install the RAM in the correct slots. In addition, the cord may be faulty. To find out whether this is so, disconnect it from the computer and from the monitor, and will ring the ohmmeter. In the absence of cable look for it in the packing box of the monitor. If he is not there, and there manufacture it themselves. Take the two 3.5 mm stereo mini-plug standard Jack (TRS). Three-wire cord, connect the corresponding contacts. All switch engage when de-energized equipment. 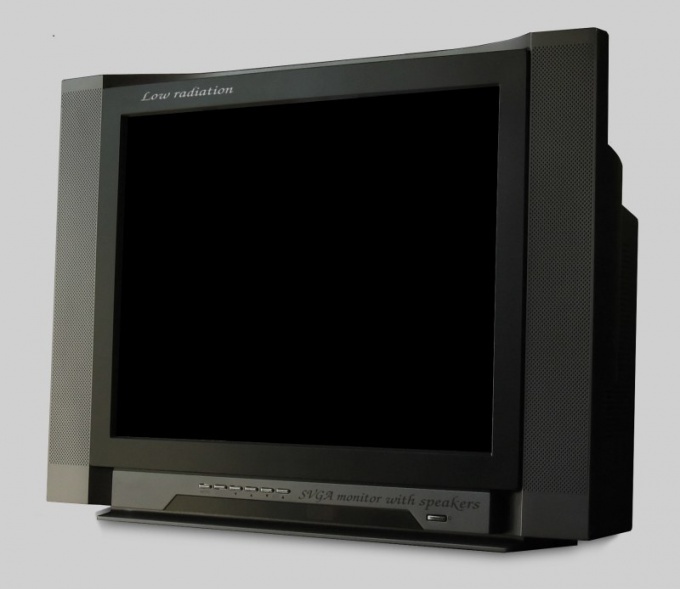 Some monitors like LCD, and pipe, equipped with integrated speakers. 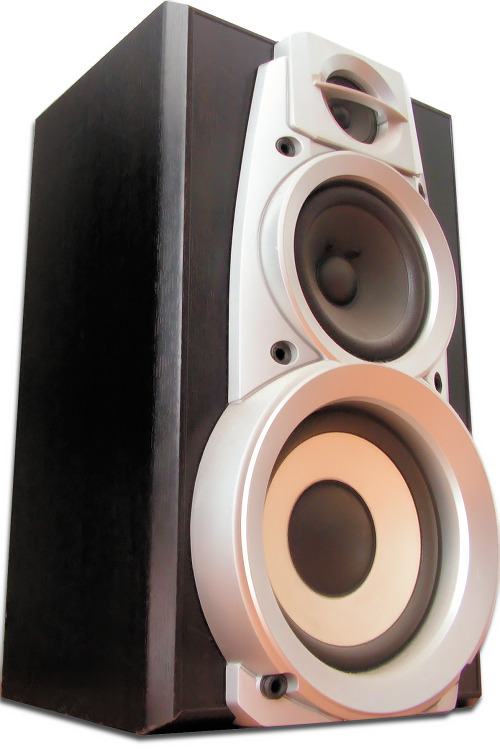 Just like individual speakers, built-in can be connected to the PC sound card stereo cable. 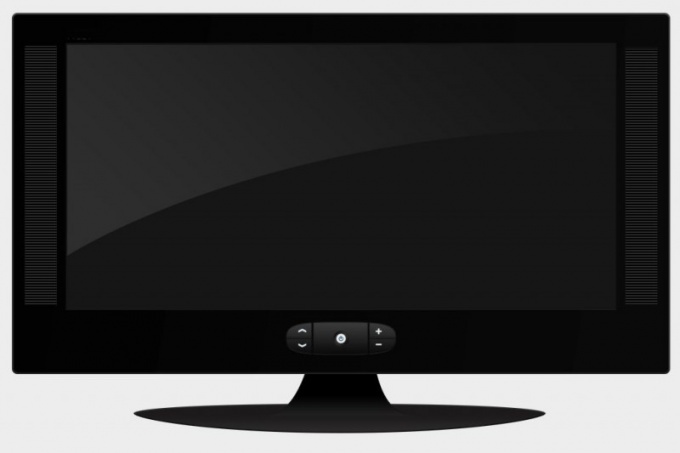 Note that the cable on which the monitor receives the image signal from the graphics card (VGA or DVI) not contain conductors for supplying audio signals. To do this, use a separate thin cord. It can be built into the monitor, but more often it is removable. Before making any connections, power off both your computer and monitor. If the audio cable is built-in, just connect it to the green socket of the sound card. If he is separate, look for it in the package monitor. While the last one socket standard Jack, the same size on the sound card, the cord must be equipped with two identical plugs. One of them (no matter what) connect to the sound card as described above and second to the monitor socket Audio In. If the monitor has two RCA connector, connect the red plug of the cord with a socket of the same color on the monitor, perform the same operation with the white plug and the green plug to the sound card. When purchasing a monitor, used, cord supplied may not be. Then it should be collected. If it needs to have both sides of the plug Jack, just connect the cable to the desired length of the same name, the contacts of the two plugs. If on the one hand should be one plug-type Jack, and with another - two RCA, General wire all the plugs connect together the middle contact of the plug Jack plug to the signal contact of the white RCA plug, and the distant to the signal contact of the red RCA plug. Turning on the monitor and computer, make sure now the speakers sound. If not, adjust the volume on the software mixer of your computer (its name depends on OS) and a controller or Volume buttons on the monitor. If necessary, display the monitor mode, Mute. If its a separate front panel socket Jack, you can include the headphones, with built-in speakers will be turned off.